Heal SVT Naturally by taking responsibility. It’s hard to take responsibility for your health and even harder to take responsibility for your sickness. It was hard for me, and I know that it is hard for many others. I can tell within minutes, maybe seconds if I am a good energetic match with a person, client, email or comment that I receive from someone. This is important to recognize as a coach, since my goal is to HELP others HEAL AND THRIVE. 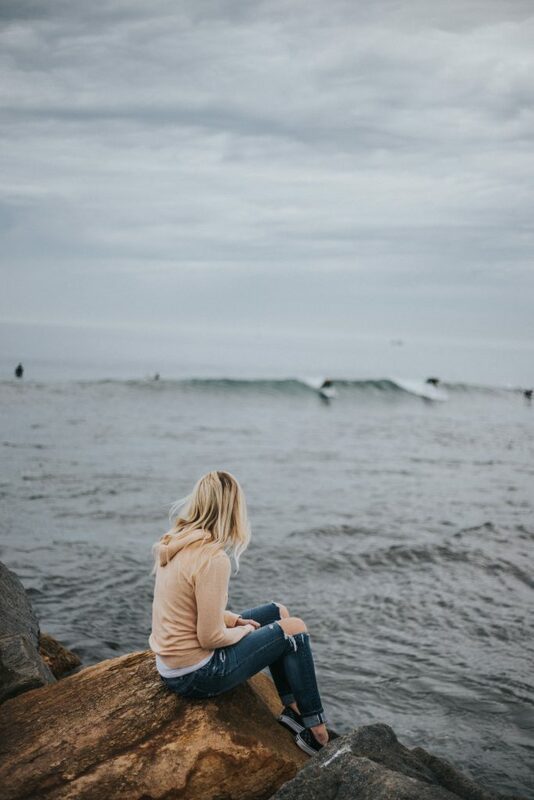 I have learned through the years that you cannot help people who simply are not ready yet and being able to intuitively connect with someones energy is vital for this process. Is ready and willing to take responsibility for their life, for their sickness, for their health, for their dreams and for their happiness. 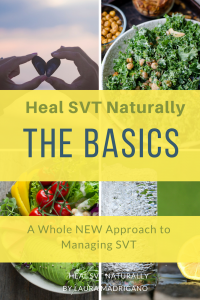 Since there are physical (nutritional), emotional, spiritual, and energetic layers to healing SVT, its necessary to investigate all of them to see which ones are out of balance and contributing to your health issue. The guide will help you through this investigation process. People who are open to this concept of investigation and “ready” to look deeply within themselves, stand a really good chance of healing SVT and any other “issue” naturally. Helping people who are READY shift from VICTIM to EMPOWERED is one of my guiding roles as a coach and something that brings me a sense of real accomplishment. Helping people move into thier potential by moving out of victimhood is one of the most freeing liberating transformations possible in this lifetime. This transition, is also one of the most difficult, yet rewarding, aspects of what I do as a coach. It’s hard to explain just how delicate this subject matter can be when working with someone, because people who are stuck in being a victim usually don’t know it. Letting go of “Victim Mentality” is so important to any healing work…since it can be and feel extremely “toxic” to yourself and to others. Accepting that you have been in this place is HARD, I know because I have BEEN THERE, but I promise you that acceptance, and taking responsibility is the first step in turning it around. You cant turn it around if you don’t admit you are doing it. And doing it is just part of the human experience so there is no shame in having participated in it, but if you continue it, and want to stay stuck in resistance, you will then just remain part of the problem that is keeping you stuck, sick and miserable with SVT. This is a challenging, yet important topic to discuss because while it is a sensitive subject, it is helpful for several reasons. We choose our circumstances to learn and grow. The sooner we see that, the sooner we can become empowered to change. Recognize these characteristics within yourself. Save you time and potential wasted energy of “barking up the wrong tree” when it comes to whom you choose to share your pearls of wisdom with or “help”. Help you learn the value of your energy and how to protect it, and share it with the right people. Help to empower and transform you. Help you to be more sensitive and able to wish a victim “well” without engaging them. Take responsibility for your own health, sickness and life. It took many years to learn how to tell the difference between people who are “ready” vs. people who are not. When I was younger, I didn’t know the difference. I poured countless hours of my precious energy into people who weren’t “ready”. In fact, many people suffer from this mis-direction of energy. You might give hours and hours of your life to people who are not “ready”and doing so can be energetically, emotionally and physically draining to YOU ( which can set YOU up for an SVT). Giving your energy to those who are not “ready” can be a habit, pattern even an addiction. Sometimes we do this as a way of avoiding working on ourselves, or taking responsibility for our own lives. So, if you catch yourself doing this, it is a clue that you need to reel it in and focus on yourself. We call people toxic, we call people energy drains, we talk about setting boundaries. What all that really means is that learning who and what to give your energy to and who and what not to give your energy to is essential as part of your own self-care maintenence plan. This is a delicate and essential part of healing and protecting your own precious energy. The trick is to do it all with love and grace. And it’s a balancing act, and you may not be perfect at it. But that OK! It’s all a journey and there’s only progress not perfection. God grant me the Serenity to accept the things the I cannot change, the Courage to change the things I can and the Wisdom to know the difference. When we engage with someone who is not ready, we can get angry, impatient, mad, combative, tired, say toxic things, get stuck in conversations that we don’t want to be in, etc. When you have SVT, engaging with toxic people is a serious energetic RISK. See, thats one of the ways that your SVT is helping you, (what I call the blessing in disguise of SVT) its helping you learn how to set boundaries for yourself and to learn more about who and want are energy drains so that we can ultimately protect ourselves from them! So how do you take responsibility for your health, for your sickness, and your life? It starts with shifting your thoughts, and mindset. In The Heal SVT Naturally Approach, I start the whole guide by discussing your mindset. Taking responsibility is about doing what is within your control! YESSS!!! Why is this happening FOR me not TO me? If I WERE responsible for my health situation, what are some of the things that I THINK I am doing or have done to contribute? If I WERE responsible for this circumstance, what are some of my thoughts or behaviors that have MAY have led me here? If I were responsible for creating everything that I am experiencing right now, what might my soul want to learn from this situation? Why might I have chosen this route? Why did I choose this difficulty or life lesson? If you can take responsibility for your circumstances, IT GIVES YOU THE POWER TO CHANGE IT. Another way to take responsibility is to give yourself the support you need to not be scared of CHANGE. You actually CAN CHANGE, you can change your life, your health, your wealth, your relationships, your love life, your body. You can CHANGE ANYTHING. 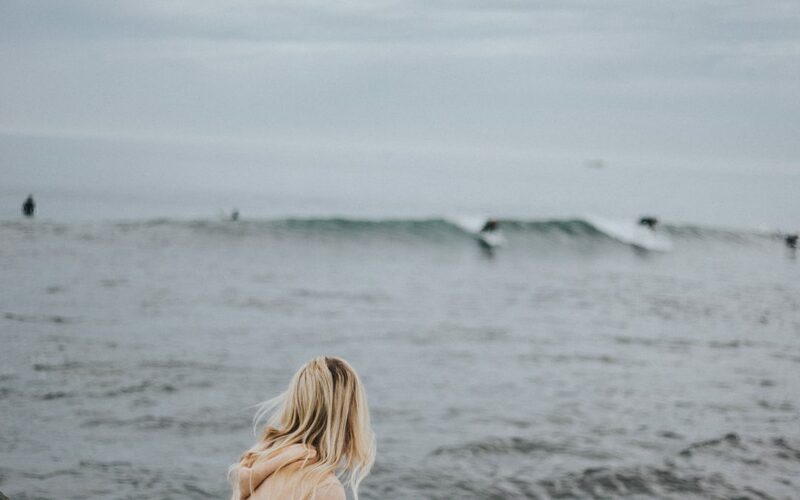 It starts by deciding, by dreaming, and by thinking about it, and then lining up your daily actions to match your dream and be in sync with it. It’s called the LAW of ATTRACTION and it’s one of many spiritual laws that the Universe is governed by. People change within their lifetime ALL the time. 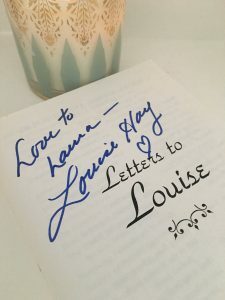 In my own lifetime, I have shifted from debt to wealth, I have shifted from sickness to health, from not having a home, to having a home, from having poor abusive relationships to having nurturing relationships, from being overweight to loosing excess weight, from treating myself with a lack of respect to loving myself and more.. It ALL can be done. ANYTHING you want you can have. That is why I always say that SVT is a blessing in disguise. It is HELPING you to recognize what is working and not working in your life. In this precious gift of life that you only have ONE of. You have ONE chance to get it right, to live a life you LOVE, to its fullest, to experience life, love, laughter, sadness, heartbreak, service, giving, receiving, travel, family, all of it. They are all just experiences that are helping your SOUL to love and evolve and learn compassion. So how do you really take responsibility for your HEALTH? By developing COMPASSION for yourself. By having compassion for the sad experiences that brought you here, and then by helping yourself through them. The ultimate gift that you can give yourself is to learn how to be the person that you need. Meet your OWN needs. Stop waiting or wishing for someone to meet your needs, it’s your job and the longer you avoid it or resent it, the longer you will stay stuck and sick. THAT IS WHAT TAKING RESPONSIBILITY means…..to BE THE ONE WHO HELPS YOURSELF. Taking responsibility is what helps moves you OUT OF SICKNESS and into Health and out of victimhood into empowerment. A Journal. Write it all out, every day…. A Vision Board. This is a must have tool to start manifesting. Its where you put your dreams down on paper to begin to give them life. And the Universe notices! Did you know that the Universe rewards you? It rewards people who are taking steps, and doing “the work”. Vision Boards tell the Universe how you want to be rewarded. They help you get clear and the Universe needs clarity or it doesn’t know what to give you. These free tools help you clear the muck away and then get clear on what you want. I hope that this post helps you feel inspired to TAKE Responsibility for your health and your sickness! And guess what? The second you do that, you stop being toxic. And guess what else? The second you stop being toxic, people WANT TO HELP YOU MORE and you wind up getting exactly what you really want in the first place. And the minute you take responsibility, new energy lines up to meet you and open doors, and send you gifts. And p.s. No body likes or wants to be around toxic people. SO, if you are toxic, it’s OK, many of us have been there, but it’s time to stop, I say that with LOVE. If you are dealing with toxic people, it’s time to stop, just tell them you love them, but you are busy. NEVER TELL A TOXIC person they are toxic. WHY????? BECAUSE they are NOT READY to hear it. So, tell them you are busy doing yoga, or cooking a vegan dinner, or meditating, and slowly they will want or need to do those things in order to be with you. And if you are working hard to change and take responsibility then keep it up, make your vision board and get clear on what you want because the Universe is working on it for you and with you. The Universe is on your side, and its cheering for you, (can you hear it?) and so am I. Get your copy of The Heal SVT Naturally Approach:A New Way To Empower Yourself Through Your Journey of Healing, its really the starting place is you have SVT to learn how to do what is within your control. And Pre-order your copy of The SVT Prevention Diet, its almost ready and its going to change your life.